It’s Fluent Design Group’s One Year Anniversary! On December 7th, we celebrated our first year as an independent Structural Engineering company! As you may have heard, we started out as employees of a company known as Theta Consulting in Doylestown, Pennsylvania. A year ago, the previous owners of Theta decided that they would continue to work on the large scale engineering projects for big entertainment companies producing national tours, which they had been doing for the past several years. But the fate of the residential and commercial arm of Theta’s business was unclear. 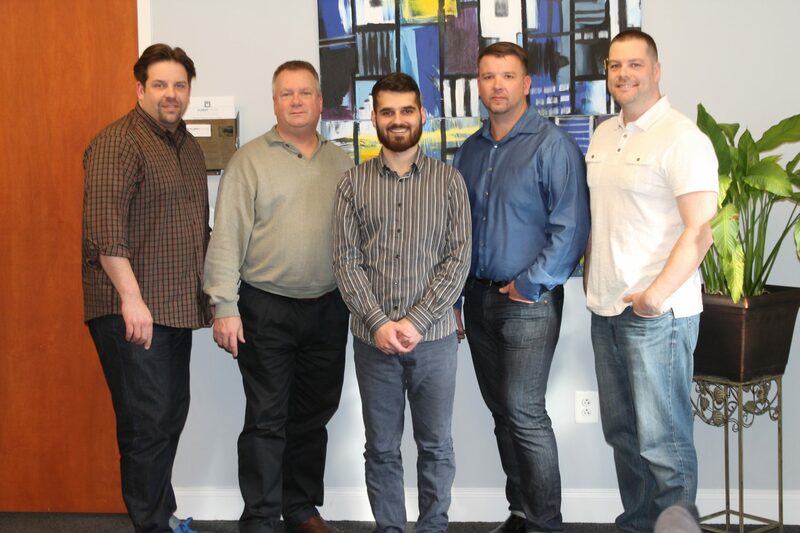 That’s when Dave Martin, owner of one of Theta’s largest residential clients, Remodeling Concepts, decided to purchase the company and grow it. We began Fluent Design Group, LLC on December 7th, 2015 and the rest is history. We have come a long way since last year. We started with a handful of clients and we’ve grown to over 75 in just one year. In addition, we’ve had the privilege of working on numerous private as well as commercial projects in the past year, and we have recently signed on many New Jersey projects for the coming year. Thank you to everyone who has supported us on this journey of building the Fluent Design Group company! We couldn’t have made it this far without you.